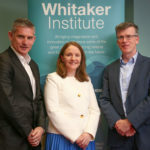 The 2019 Monsignor Pádraig de Brún Memorial Lecture, entitled Climate Change and the Irish Financial System, addressed the implications of climate change for the Irish financial system. Delivered by Governor of the Central Bank, Philip Lane, the lecture emphasised all sectors will be affected by climate change, whether through exposure to weather-related shocks or the economy-wide transition to low-carbon means of production and consumption. These structural changes will require considerable investment by households, firms and the government to retrofit buildings and switch to low-carbon production techniques and transportation methods. The funding of this investment is just one of the challenges facing the financial system. In addition, it must cope with carbon-related market risks and credit risks, a reduction in the insurability of climate-vulnerable regions and activities and the tail risks of macroeconomic and financial instability. Given the scope and severity of these risks, addressing climate change is now high on the policy agendas of the central banking and regulatory communities. Accordingly, this lecture outlined the climate-related work agenda facing the Central Bank of Ireland. The biennial public lecture is held in honour of Monsignor de Brún who served as University President from 1945 until 1959. The memorial lectures have been running since the 1960’s with Professor Stephen Hawking giving a lecture in 1994 on “Life in the Universe”. Read the Central Bank’s press release on the event here. To read through Governor Lane’s slides, click here. Sign up below to receive our quarterly email newsletter.